Freightliner truck refueling at compressed natural gas filling station for vehicles in Charlotte, N.C.
Natural gas fueling station in Nashville, Tenn.
Natural gas fueling station in Charlotte, N.C.
Shannon Bates drives a Honda Civic powered by compressed natural gas. 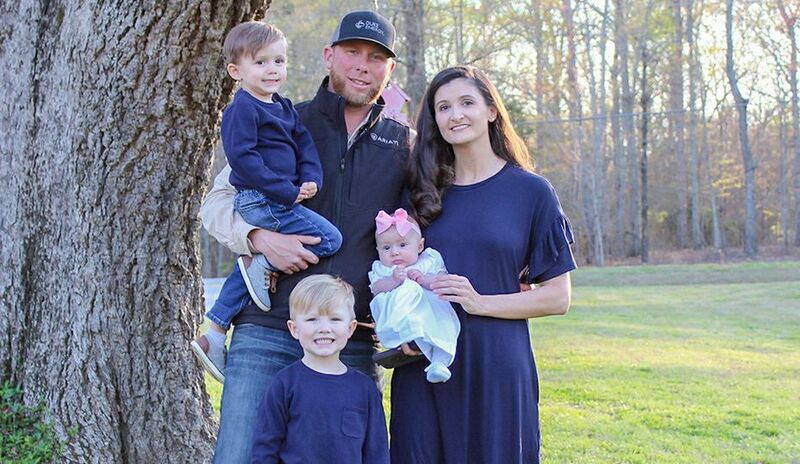 With a 110-mile round-trip commute to work, four active kids and gas costing him nearly $15 a day, Shannon Bates needed a more efficient car. So he went online and found a used Honda Civic powered by natural gas. He flew from Nashville to Oklahoma to buy it. Along the way he picked up two beagle puppies for a friend and then drove the 600-mile trip home with them sleeping in the back seat. They spent a night at a puppy-friendly motel and stopped a few more times for potty breaks and natural gas filling stations. That was in early 2012. Nearly five years and many miles later, the Piedmont Natural Gas construction rep still loves his 2002 Civic. Filling up at a compressed natural gas (CNG) station costs about a third of what he used to pay. And Piedmont Natural Gas gave him a $3,000 employee rebate toward the $9,000 he paid for the car. Bates felt like a pioneer during his journey west; in fact, he’s an American trendsetter. 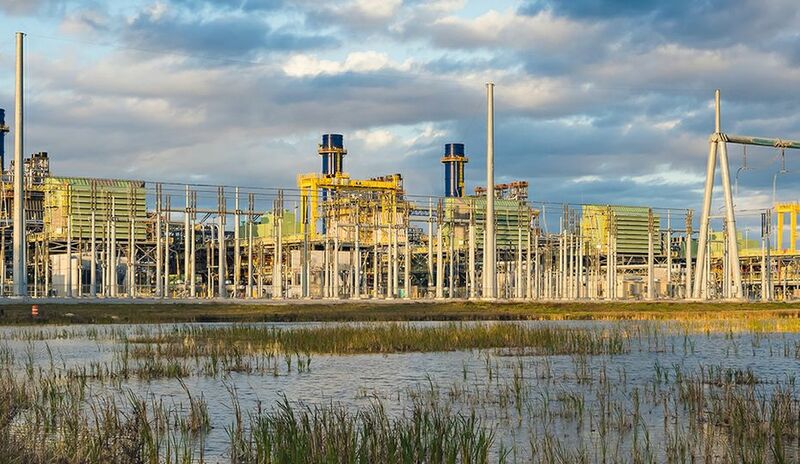 Natural gas powers about 150,000 of more than 250 million vehicles in the United States. That’s a fraction of the estimated 15 million natural gas vehicles around the world. 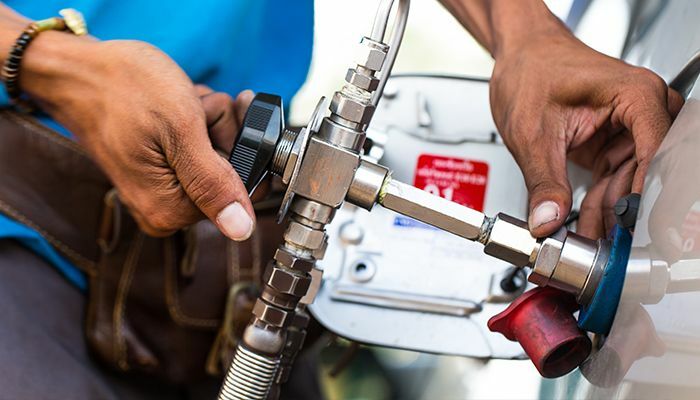 While natural gas vehicles are far more popular in Asia and South America, industry experts expect U.S. drivers to lead the demand for more and they predict worldwide numbers to increase to 50 million within the next decade. Increased domestic natural gas production and efforts to reduce greenhouse emissions will fuel much of the expected growth. The Federal Highway Administration recently announced plans to establish a network of 55 routes spanning 35 states to offer more options for natural gas and other alternative fuel vehicles. 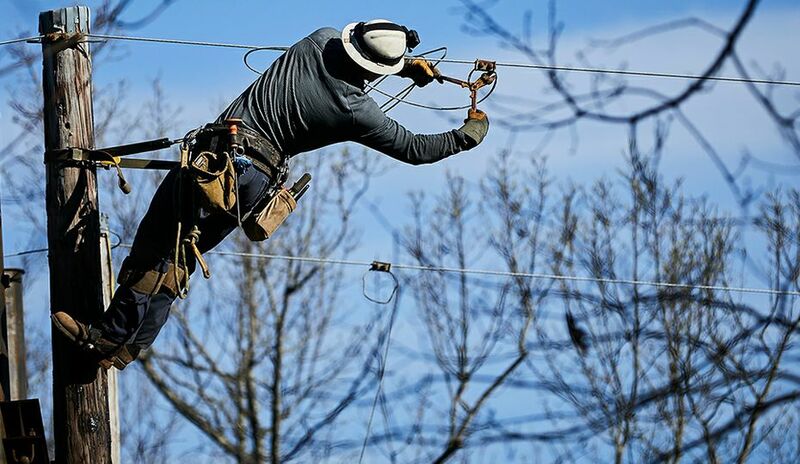 The movement is rapidly gaining traction across the United States. Transit systems from Philadelphia to San Antonio to San Diego are replacing aging diesel fuel buses with natural gas-powered counterparts. The city of Charlotte has 20 natural gas-powered trash trucks and hopes to have another eight operating by spring. That’s about half of its everyday fleet. Initially, a natural gas-powered trash truck costs about $40,000 more than a diesel truck. 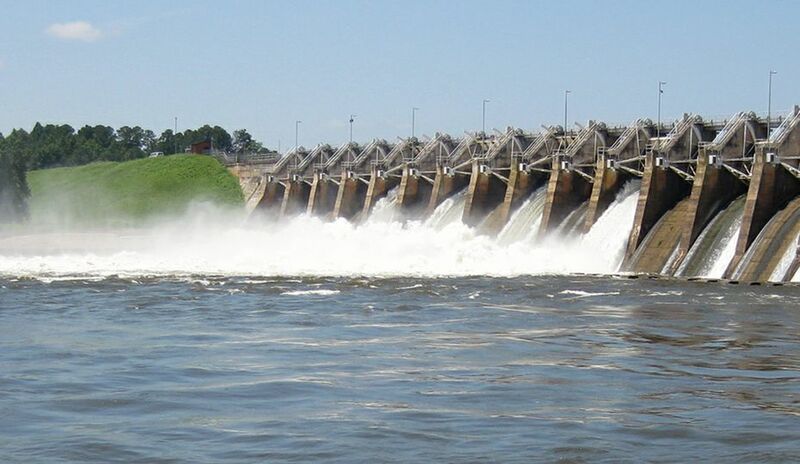 The city used federal grants to pay the difference and saves about $180,000 a year in total fuel costs, said Kathy Sanders, fleet manager for Charlotte’s Solid Waste Services. 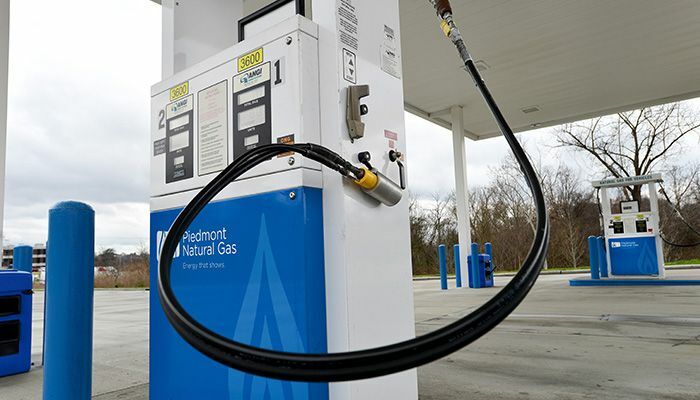 Other Charlotte departments are exploring natural gas vehicle options. 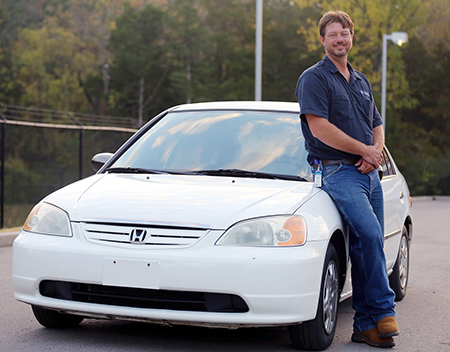 Shannon Bates, Natural Gas construction rep and his 2002 Honda Civic powered by natural gas. “We love them. They’re good in the winter; they start right up,” Sanders said. 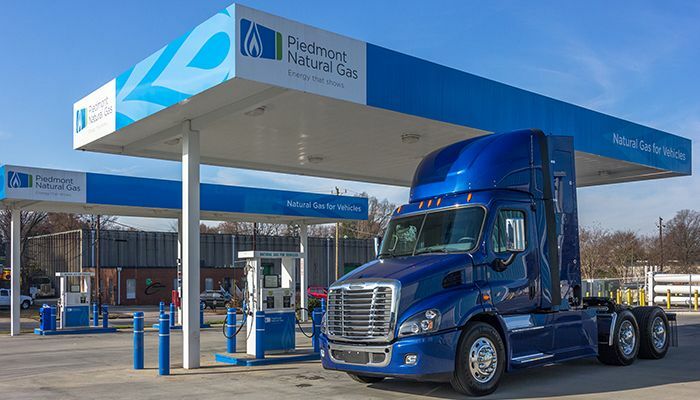 Piedmont Natural Gas has 421 vehicles powered by natural gas, which is about a third of its fleet. 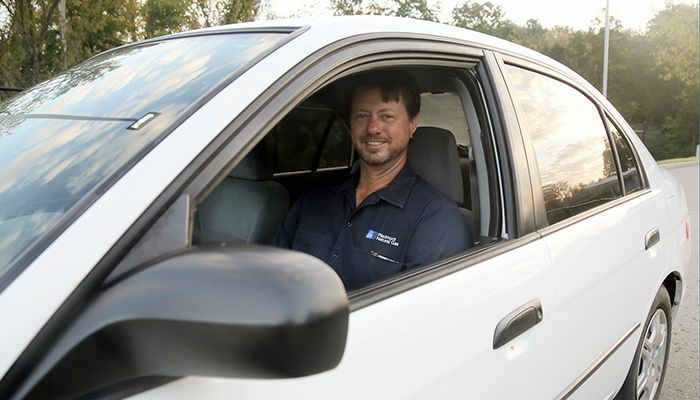 The company will soon open its 11th public refueling station for natural gas near Hickory, N.C.
Bates, who drives a natural gas-powered truck for his job, said the biggest downside of owning a natural gas personal vehicle has been finding filling stations outside of work. He can drive his Honda Civic about 200 miles on a tank of natural gas, so long trips require planning. He said it’s also more challenging to find mechanics to fix things like broken sensors. But the natural gas keeps the engine much cleaner − which results in fewer oil changes and lower maintenance costs throughout the car’s life span, Bates and other proponents said. Beyond saving money, he’s proud that he reduced his carbon emissions by anywhere from 70 to 90 percent. “That made me feel really good, that you’re making things better for your kids,” he said. He got to explain it all to a state trooper who once pulled him over with a concern that the car’s tinted windows were too dark. Bates told the trooper the former owner installed the tint. The windows apparently complied with Tennessee law because the encounter quickly changed course. The trooper had many questions: How did the car drive? Did it feel like a regular car? How much money did using natural gas save him? Most NGVs in the United States are used for commercial and government fleets, rather than private citizens. Commercial fleets are rapidly adopting NGVs. NGVs run on compressed natural gas (CNG), which is less expensive than gasoline or diesel. Commercial fleet operators also benefit from operational savings. NGVs require fewer oil changes and less maintenance than traditional vehicles. 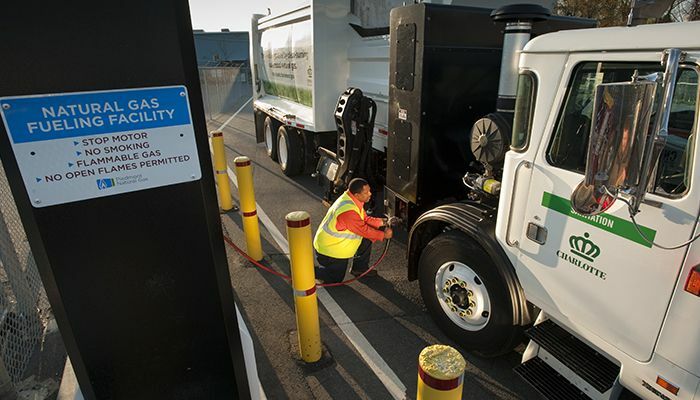 CNG engines also are quieter than diesel engines, which is why 60 percent of new refuse trucks on order are NGVs.